I have been looking for a math curriculum for Tabitha as I know she is beyond the math that is in the Kindergarten level of My Father's World. She has always been very intuitive when it comes to math. 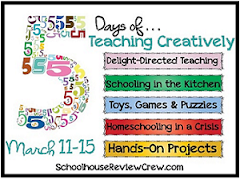 We have done mostly hand-on, daily living math learning for the past several years. But, I am getting to a point where I want to make sure we aren't missing anything. Enter A+ TutorSoft, Inc. I know the girls love working on the computer, so when I was given an opportunity to review A+ Tutorsoft, Inc's Multi-Sensory Interactive Math curriculum as a part of the Schoolhouse Review Crew, I felt it was perfect. I did hesitate a little bit, knowing Tabitha was technically only in Kindergarten and their lowest grade level is first grade, but I felt she would be able to do the work. 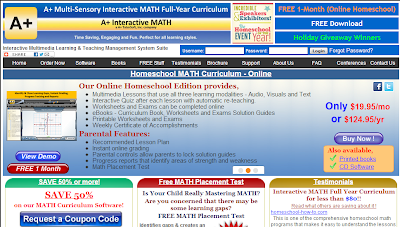 I chose to use the A+ Interactive Math Online Homeschool Edition. This curriculum is available for grades 1-6, and they also have Pre-Algebra and Algebra. 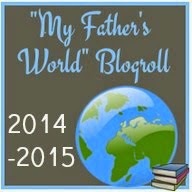 In addition to the Online version they offer a CD version for homeschool. This is a complete curriculum that your child can do on the computer with the addition of worksheets and exams that can be printed out. 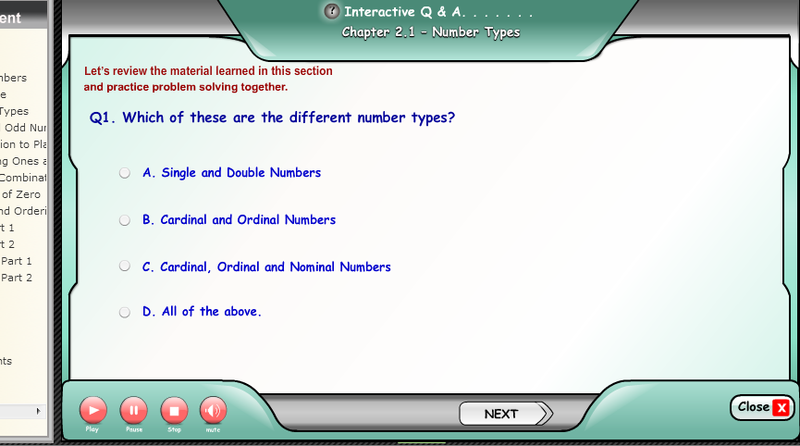 With the Online version you can also do the worksheets and the exams online and get instant grading and feedback. There are multimedia lessons for which lesson plans have already been planned out. Additionally there is a curriculum guide, a printable workbook, interactive questions & answers, a solutions guide, exams, exam solutions and formula reference sheets. 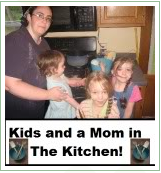 With the online edition and the premium edition of the CD the parent can lock the solution guides and answer keys. I do have to say, that the layout of their homepage was quite overwhelming to me at first. 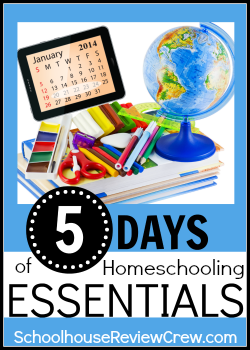 The main part will constantly switch between the Online Homeschool, CD for Homeschool and the School versions. In order to fully concentrate on the version you are interested in you can click on one of the orange circles on the bottom of the middle section. You can also click on the title "Homeschool Math Curriculum-Online" or "Homeschool Math Curriculum-CD Software" to be taken to the page with all the grade levels, from there you can find out more details about each grade. This same screen is the one you come to in order to sign in. 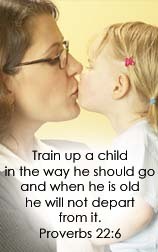 You can sign your child in or sign in as the parent so you can manage your child's account and check their progress. I do like that my daughter does not have easy access to this section. After Tabitha is signed in she will come to her personal workspace. The Table of Contents shows you the Chapters that will be worked on in this grade level and under each chapter there are lessons. We were working our way through the lessons for a while before I noticed their is a section titled, "Lesson Plans." The program has listed how many lessons should be completed per week. 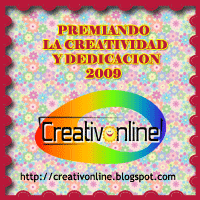 You are to work on the Multimedia lesson, where the computer teaches your child using Visual Graphics, Text and Audio. Your child is lead through the lesson, which can be paused if you feel your child needs additional instruction and it can be replayed. After listening to the lesson your child will get to do the Interactive Q & A. There are both multiple choice questions and fill in the answer questions. After answering the question your child will get instant feedback, letting them know if they are correct or incorrect. If your child answers incorrectly they will be shown an explanation and then be given a chance to answer the question again. It is very important to remember to answer each question and get your confirmation before clicking next to move to the next question. 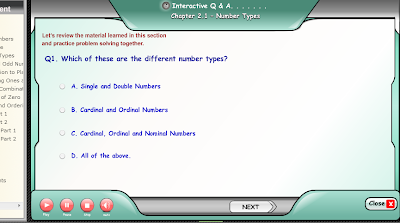 After your child finishes the Interactive Questions and Answers they then have worksheets they can work on. 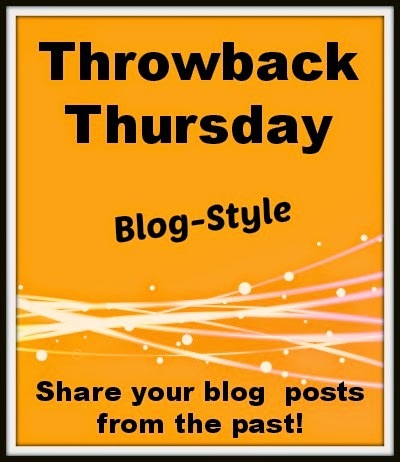 I loved that we had either printable worksheets or online worksheets to use. Tabitha was able to work at her own pace, setting aside the worksheet, whether online or printed, and come back to it later if she was struggling with it. If she completed a printed worksheet, I put her answers into the online worksheet so it could get graded instantly and added in to be tracked for her progress. If she got any answers wrong she was able to go back through the worksheet to see which ones were wrong and what the correct answer should be. The program keeps track of all the completed worksheets. You can review when your child completed the worksheet, how many questions there were, how many were answered correctly and the percentage grade. It also lists a total for all the worksheets. Which is great if you are required to have grades for your child. It would also be great to have something to print out to add to our portfolio when the girls are old enough to be reporting to the school district. After all the lessons in the chapter are completed you have an Exam. This exam is timed and you can not pause it if you are using the Online Edition, though the parent can add time in the parental control section. I have not had Tabitha take an exam yet as I feel it will frustrate her. I know that she knows the material from the worksheets. 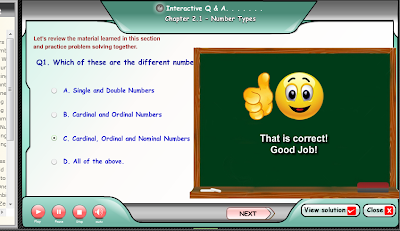 We have really enjoyed working with A+ Tutorsoft Math. Tabitha has time on it almost every day after lunch. Though there were some days she didn't want to do her math, once she got started she usually didn't complain, though there was a bit of procrastination. Today she was really looking forward to her time on her math. I did have a couple of concerns. The first unit that 1st grade starts with is counting to 100. I figured Tabitha wouldn't have a problem with this section seeing as she could already count to 100 and beyond. The problem came with trying to count to numbers up to 100 on the computer screen. Some of the images were so close together and jumbled together that she got completely frustrated. This was when I was glad we could just stop the lesson and come back later. I decided to print out the worksheet and have her use a marker to place dots on the objects she had already counted. She did much better. As I have been taught the importance of working from left to right, I feel having items all bunched together and circling around each other is very confusing for a child. Even I had trouble counting some of the higher numbers without being able to mark which ones I had already counted. I would love to see the counting in straight lines. 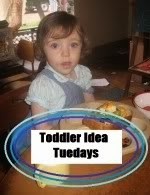 Another thing both Tabitha and I agree is a problem is the speed of the multimedia lesson. As the lesson is being taught, the child will be asked a question, the computer almost immediately answers the question without giving the child time to come to the correct answer on their own or even pause the lesson so the parent and child can discuss it if needed. Tabitha would have loved to answer the questions being asked of her, but she wasn't given sufficient time. All in all this has been a wonderful curriculum and we continue to work through it. We have been working through it slower than the lesson plans recommend, but as Tabitha has only just turned 6, I feel we are progressing satisfactorily. She has such a love for math, there is no way I am going to destroy that by pushing her. She is also excited to discover that we are done with counting numbers and as we progress we will eventually get to addition and time and money, I think that has motivated her. 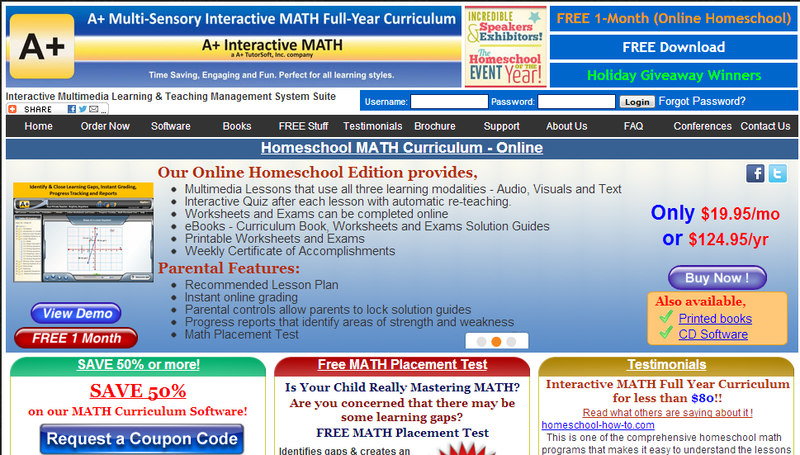 You can purchase the A+Interactive Math Online Homeschool Edition for $19.95 per month or $124.95 per year. Or you may choose to purchase the Software CD for $99.99 per grade level for the Standard Edition or $124.99 for the Premium Edition. 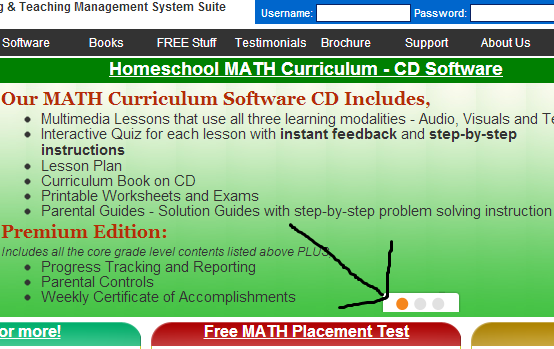 If you are not sure if this curriculum is for you, A+ TutorSoft offers a Free 1 month trial of the Online program (just click on the button in the top right of the home screen). In addition, though the end of March, you can use this code: SPOFFER50 for 50% off. 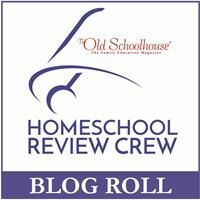 To see what other families thought of A+ Tutorsoft Math, I invite you to stop by the Schoolhouse Review Crew post.